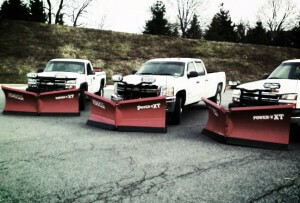 All Around Total Package is your Landscaping company in Lancaster specializing in snow removal and plowing. Whether it’s your home or business, no one needs a slip and fall incident, so let us do the dirty work for you. Snow and ice can be a big project for businesses when it comes to making conditions suitable for both customers and employees, let us save you the hassle of removing snow and making conditions safe. We have a fleet of snow plow trucks manned by highly skilled and trained employees who will have your driveway, sidewalk, walkways, or parking lots clear in no time. We provide around the clock service during snow storms, and we keep a close eye on weather conditions so we know how to handle what each storm throws at us. Customer service is our top priority, and we believe in being honest and straight forward. We will work to have your property cleared and safe for you to go about your business as usual. We have worked for clients in many commercial industries including banks, big box stores, and medical facilities. Let us be your snow removal contractors in the Lancaster, PA area. Contact us today for a free estimate or to lock in your business and guarantee you’ll have your property cleared after the next big storm!